I think I found my new pair of sunglasses. These vintage Christian Dior sunglasses are sold at Barneys through a "brand (?)" called Retro Sun. They have all the qualities that I love, they're oversized (my round face needs it) and they're blue. I'll have to go by the store soon and try them on in person, sunglasses are one of those things that I never buy online because it's just not a wise decision. 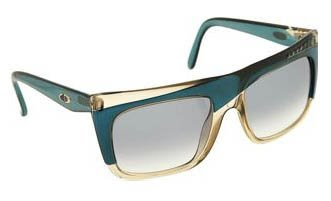 They're a little pricier than my current pair, ok, a LOT pricier since the pair I have now is from H&M, but I treat my sunglasses well and they last me a while so I'm not totally opposed to dropping that dough. i want those! super sweet find.